After I got busy with my marathon preparation - since June - I stopped going Sudarshan Kriya by myself. Every Sunday at 7:00 AM, there is a refresher course - where an Art of Living teacher guides us in doing Suriya Namaskar, and a few Asanas, Pranayama and finally Sudarshan Kriya in Guruji's voice - in our Apartment Complex party hall. I used to attend them occasionally before, and after signing up for the Marathon - I stopped going. On Sep 20th evening, after I finished the Half Marathon and was cooling my heels in the hotel room reading a book I picked up at Blossoms on Church Street - I get a WhatsApp message from Aditiji - she was my teacher when I attended the Art of Living Course in August, 2014. "Where are you, don't see you nowadays?". 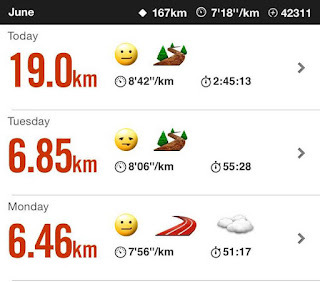 I was in such a good mood ( runners high ), and I immediately replied, "I was training for the Marathon. It is done. See you next Sunday". Tl;dr : After preparing for a Full Marathon, I complete the Half Marathon - in just under 3 hours. 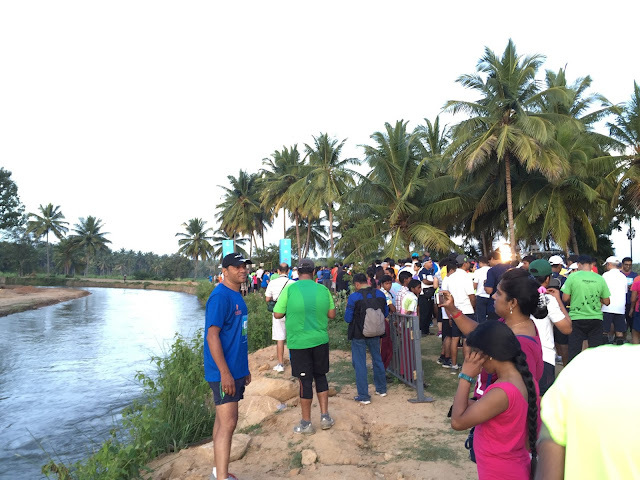 Anyway - here is a brief write up of my running the Kaveri Trial Marathon 2015. I had booked a cheap room near MG road, one of the fancy startups of 2015 - parallel to Church Street - where all the pubs are there. Woke up at 1:00 AM, freshened up and walked to the bus pick up point near Queen Victoria Statue. This is near the Chinnaswamy stadium - and till I reached I was not sure if the bus will be there - and was wondering what will the plan B be if the bus had already left or didn't show up. Thankfully 2 buses were there - and a volunteer cross checked my name and let me in. I got in and immediately dozed off. 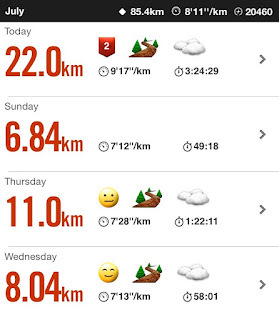 I think Week 11 Sunday I ran 26kms. I felt some weird pain in my foot so stopped. Had set a target of 32kms. Then as the day went I found my left mid foot hurt really bad. Yaay - new pain. Started research and read all about pronation. Perhaps I was not running right. Saw a youtube video too to prove myself. Read about the correction shoes and got even more confused. Then I read a post - saying - this is how humans run - no point correcting it. So I came back to my starting point - thanks and no thanks internet. My running is fine. Perhaps my legs gave up after too much of running on hard surfaces. I took the tough decision and downgraded from full to half marathon. Waited for a couple of days, and went for a run. Stopped after 1.5kms as the pain was back. I stopped running for the next 4 days or so. Should I just quit and live to fight another marathon or give it a shot. Monday I went shopping in Godrej Nature Basket. Picked up Sofit - Soymilk the plain version ( not adulterated with sugar - which is hard to get ), Tofu and Gooseberry. Went for runs according to plan on Wednesday,Thursday and Saturday and did the knee exercises. Sunday morning I was delayed - partly because of the rain and partly because I was lazy. I started the run at 8am. My legs felt tired right from the go. I checked out the park but it was fully soggy and unrunnable. Came back to the concrete parking lot + the inside asphalt road. It is going to be a boring 29 loop run. Was debating whether next time I will go to Aarey colony road - but the slopes will kill my confidence. Crossed 10.5k and took a recharge break. I now switched on the audio book - Wizard of Earthsea. The headphone's right side had stopped working. This keeps getting better. And Monday we had a team outing at Thungareshwar. It was a 4km climb on a gently rolling hill - for a temple and a waterfall near Vasai. I went up and back without any fuss. Patted myself on the back - couple of months back I could not have pulled this feat. The body adapts itself really well. The next 3 runs I kept myself to less than half an hour - so I could spend more time doing the knee strengthening exercises. Sunday morning it was raining heavily. I was worried about the park. As expected I found the track very muddy and un-runnable. I left the park and came to my parking lot. However this time I did only 25% of a run in it. Rest I did it on the tar road. As expected after 5 kms, behind my knee I started feeling the pain. Don't know it was the mind playing tricks on me, or it was really hurting. 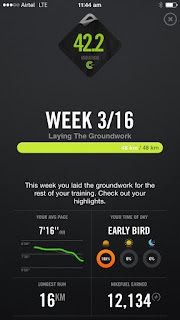 Since I was shifting my long run from Monday to Sunday - it was a short week. Only 3 runs in total. 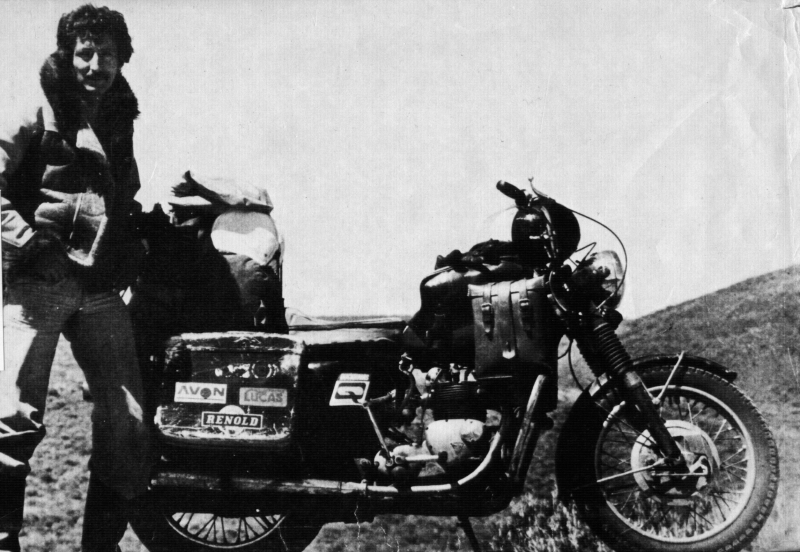 I was bringing 7 years in Tibet to a close. The interactions between the young Dalai Llama and Heinrich is beautiful. China invades Tibet in 1951 and the book ends on a very sad note - with an appeal for help to keep Tibet free. This time for the long run I did not go to Aarey colony. Was back in the park behind my apartment complex. 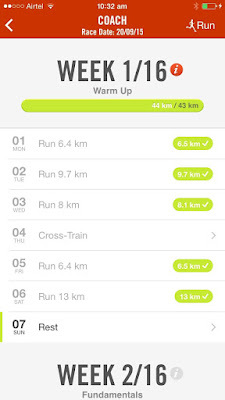 I set 26km as goal and started running. It was drizzling and the rain clouds went away. Did a 9km non stop run, before getting back to my Apartment Complex security where I had kept 2 water bottles and 2 bananas. After downing a liter and a banana, continued on the 2nd round. The euphoria of running a half marathon died down rather quickly. I actually cheated last week. My goal was 23kms, but I stopped after crossing the half marathon mark. Not meeting the long run target was a mistake. 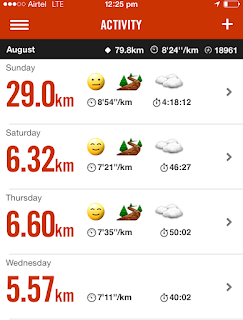 The week was uneventful - it did not rain much and I clocked a few runs according to my plan. 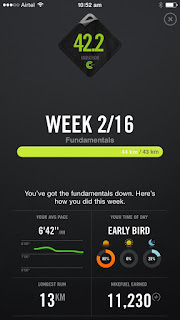 Last week my long run was on Sunday. This time I pushed the long run to Monday - being an off-day ( Team ADDA works Tuesday thru Saturday - no Monday morning blues for us ). I reached my running spot at Aarey colony and found it devoid of runners or walkers. Today is a working day and all the poor unlucky folks are at their desk I thought. Rest Day. 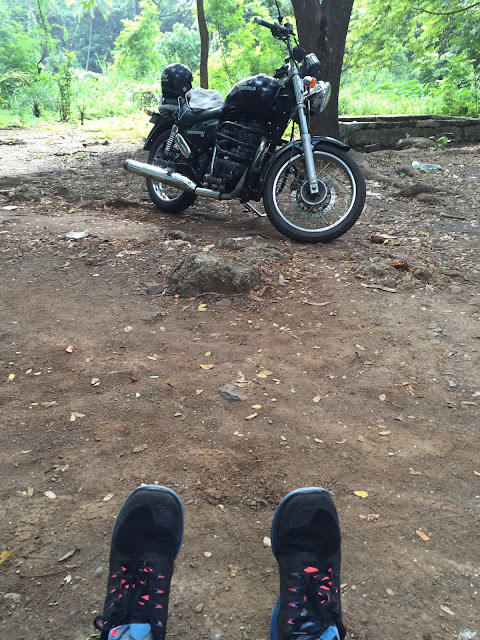 I took my bike and reconnoitred the Aarey colony area where runners go to train. I measured 5kms one way and was quite pleased. I make 4 trips and I can touch 20kms. The landmark there is New Zealand hostel - and there were quite a few ups and downs. It is going to be hard. I continued with the Tibetan book. They have got asylum, and the book has become boring. It is an observation of life in Tibet. When I had just crossed 5, it started raining and I got back home. My mood also was off beat - lot of things going on and couldn't focus on running. It was sunny and a nice beautiful day. Had a good run and I did not take any walk break. Towards the middle of the run felt like stopping for a walk break, but kept going. The less I stop the timing is better. I have made a run playlist now of my favourite songs and it helped. 6.46KM. It was a laboured run. Rain was pouring heavily and had to stick to the parking lots. Our hero and his friend decide to take a treacherous route populated by nomads and campa ( thieves ) - as there are no district officials in that route. The district officials would have stopped their progress as they do not have permit to go to Lhasa. The 2 fugitives move from one nomad camp to another and are well taken care of. Here they find polyandry common - a woman living with 2 or 3 husbands. As they get deeper and deeper, they find the nomads becoming more and more hostile. They were entering the campa territory. Campa are the thieves who plunder from nomads and caravans. They unknowingly go near a tent, assuming it is that of a nomad. Soon they find out it is that of a Campa - as they do not have any sheep or do not look anything like that simple nomads. They have a fitful sleep if they will be murdered that night. When I woke up felt my legs ached a bit. Was debating whether to give it a pass - as I have 2 long runs coming up the next 2 days. Anyway, dragged myself out of the home and started at my gentle pace. Once I started running did not think of the mild pain.. it went away I guess. It was just my mind fooling me. Then when I had 2 kms to go raised my pace a bit. I think I can identify 2 paces - a slow pace where I breathe through my nose effortlessly, and a slightly faster pace - where I really run - and breathe through the mouth. I feel I have one more gear left. September 20 is my D-Day - The Kaveri Trail Marathon [ http://kaveritrailmarathon.com ]. Got to know via a tweet and it set me on another of my adventure / irrational act - to run a full marathon ( 42kms ). I had run (half walked in pain) a half marathon ( 21kms ) in the Bangalore Midnight Marathon held in Dec 2011 and it was a disaster. [ My first half Marathon ]. I finished last. And vowed never again. Next time I will train better and will run the full race, not walk half the race. It has been 3 long years since then and I could never bring myself to run even a half marathon again. Always the fear of failure was there and the last disastrous experience kept haunting me. I had booked the last flight home - at 10:45pm - to avoid the crazy Gurgaon Peak Hour Traffic, and also it was the cheapest I could get. And the flight was delayed. Finally the boarding started at 11:30pm. I had woken up at 3:00 AM today, for this one day trip. I was having a hard time keeping my eyes open and quickly dozed off as the flight was taking off. I felt a scary shudder and woke up and found the flight dark. I closed my eyes but I could not go back to sleep. I pulled up my phone and saw the time - it was precisely 12:00 midnight. But I knew something was wrong. The phone was blurred and it was kind of overlapping as if 2 phones were there. I thought it was my tired eyes playing tricks on me and closed them once again and tried to go back to sleep. I could not shake off the odd feeling. This is a chest thumping post. I am warning you. I have unlocked a new level in my life. 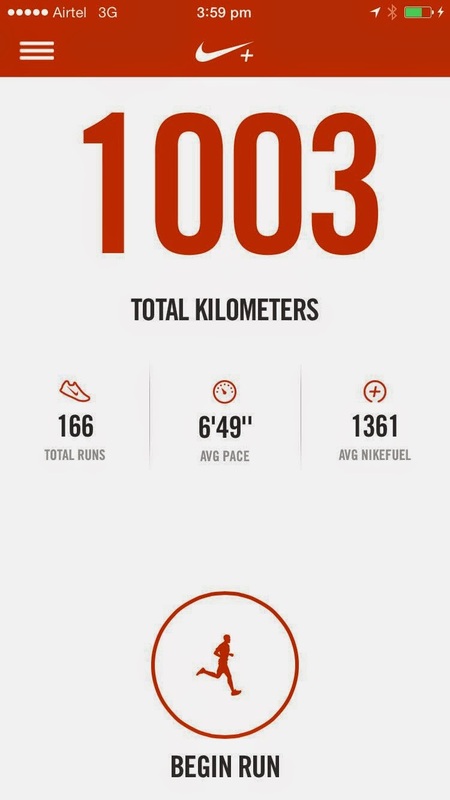 I have run 1,000 KMs. 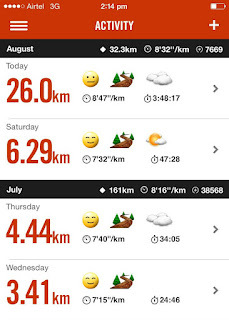 This was done over the last 2.5 years starting Nov 2012, averaging 6 Kms per run at a nice middle aged man's pace of 6.5 ( pace is the number of minutes it takes to cover 1km ). I can hear you saying - nothing big to crow about - but hey - this is me I am competing against - not Usain Bolt - and as a competitor I am tougher! I am not a consistent runner. During monsoon I stop running and eat lot of onion pakodas. Also just a few months back my shoe was stolen, or for any lame excuse the devil in my brain will throw at - I will agree immediately, and I will declare an off-day. It has been a constant battle between the Angel and Devil in my brain. And no clear winner has emerged of far. But I want to show this devil - inspite of you I have accomplished something really big. India is in a growth phase like how the US economy was in the 80s. The US parents during the boom were called baby boomers. The Indian parents who are in their 35s to 45s of today are the equivalent of the baby boomer generation. Thankfully the school admission process is so competitive - it has scared them into not making a boom of the baby kind. Let me coin these parents the "Facebook parents" as they are all chained to their smartphones and Facebook. Of late whatsapp has become quite popular but whatsapp is owned by Facebook - so this term can still stand a scrutiny by future historians. They are economically successful and better off than their parent's generation. Most would have started their career drawing a salary their parents would have retired at. Would have visited a few countries for work or for pleasure. Would have a car or two or an unnecessarily powerful bike which they use for grocery errands. Would have a heavy EMI too. 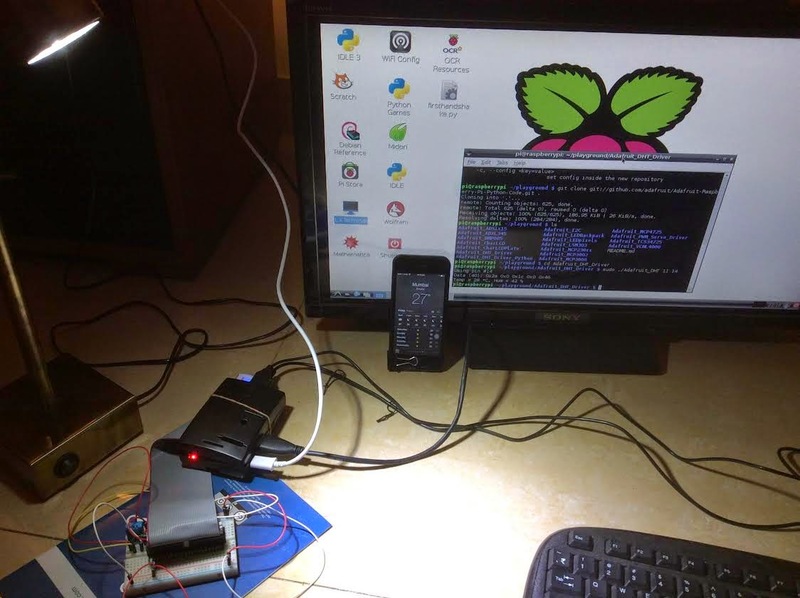 Agile - as you know is what we use to create kickass products. Spiritualism is to me the exploration of the Why? - Why are we happy, or sad. Why did we come on earth, why we die? I practise Agile at work, and explore Spiritualism constantly in all things. During one of my meditations it hit me - A developer practising Agile, and what Spirituality teaches us are so common.